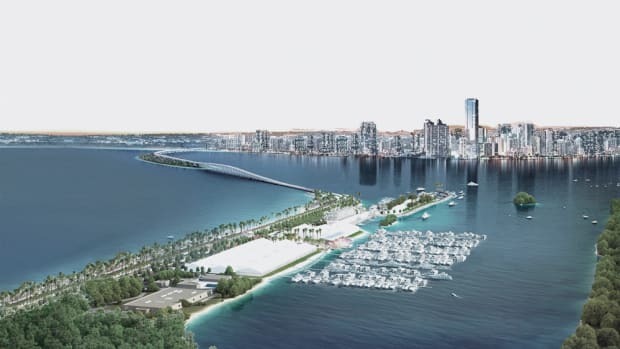 Starting in 2016 and running through at least 2017, the Miami Boat Show will be hosted outside the abandoned Miami Marine Stadium, according to a Miami Herald report. 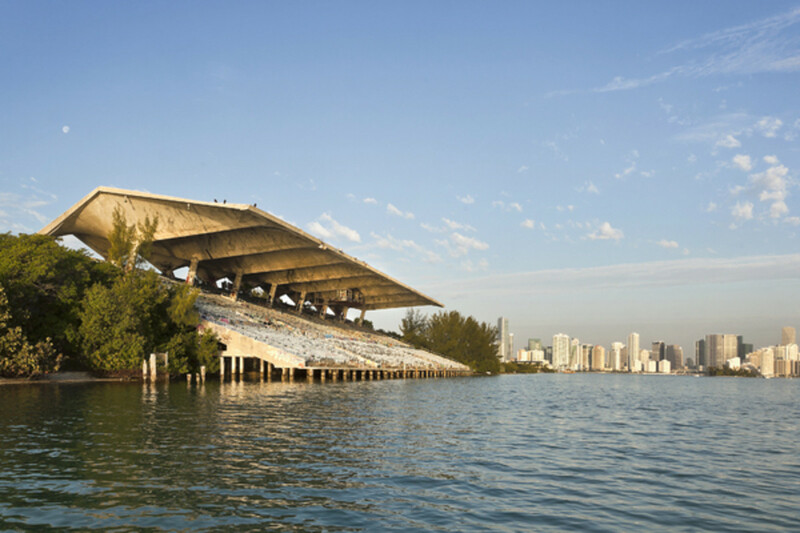 The Miami International Boat Show is making its new home farther south on Biscayne Bay at the hurricane-battered, graffiti-tagged Miami Marine Stadium. 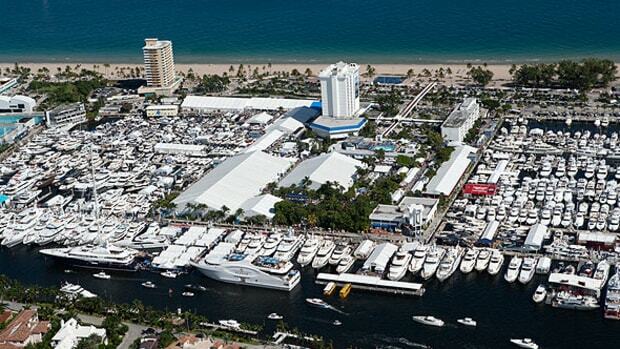 Starting in 2016 and running through at least 2017, the boat show will be hosted outside the abandoned waterfront concrete hulk where speedboats once zoomed and pop superstars crooned, according to a Miami Herald report. 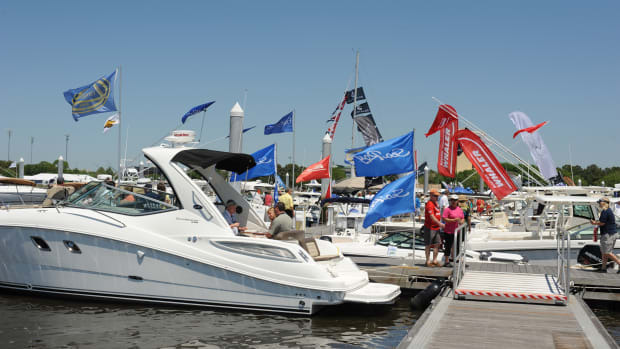 Boat show representatives declined to answer questions Tuesday about the show’s future beyond 2017, but sources with knowledge of the agreement say the event — one of South Florida’s largest tourist draws — could remain at the venue long-term and play a key role in the financing of a $30 million renovation of the dilapidated stadium. 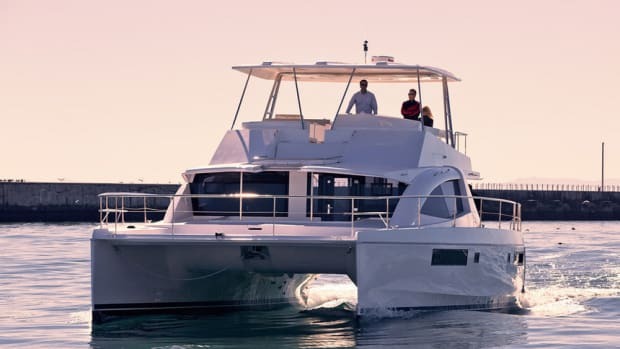 “Calling Miami Marine Stadium a home in 2016 and 2017 unites two of the city’s most celebrated boating institutions and solidifies Miami’s place on the map as an international boating destination,” National Marine Manufacturers Association president Thom Dammrich told the Miami Herald. Details of the arrangement are still in flux. 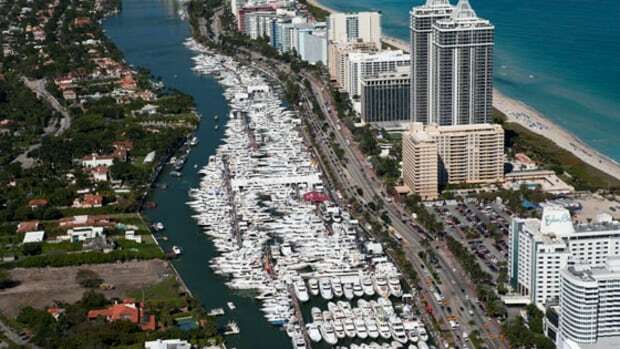 But stadium booster Gloria Estefan and Miami city officials planned to cruise over to the stadium Thursday morning on a yacht to officially announce the deal. Dammrich is also expected to release further details as questions linger over whether the show will return to Miami Beach, where renovations to the city’s convention center all but forced the show’s relocation. 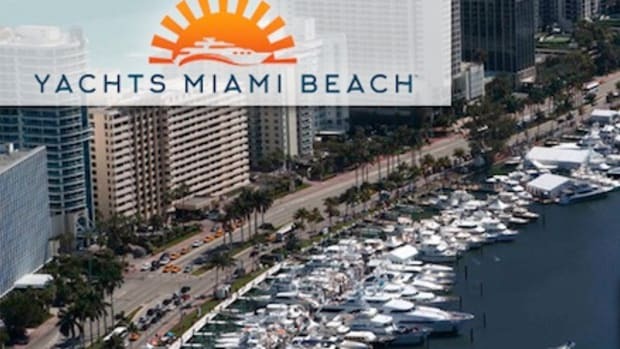 “We have not been told anything yet by the boat show about whether they’re leaving or they’re staying,” said Max Sklar, Miami Beach’s director of tourism and culture. What seems more concrete for the time being is that come 2016, for the first time in more than 20 years, tourists will flock to the Marine Stadium for a major event. 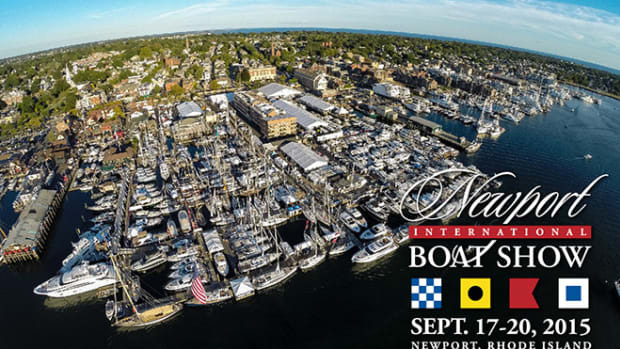 The boat-show announcement is a major boost to the long-running campaign to renovate and reopen the city-owned stadium, which, though closed after Hurricane Andrew in 1992, is now widely regarded as an architectural and engineering jewel. Supporters say the deal confirms the project’s viability and will help nail down a long-term operating contract with the city and rope in big donors who have been on the fence about committing. Under an agreement with the city, the Friends organization has until January to show successful fundraising and a viable operating plan in order to secure a long-term lease. The group must persuade city officials that the stadium, a perennial money-loser when open, can be managed without public subsidies. Cover photo courtesy of Friends of Miami Marine Stadium / © Steven Brooke Studios. 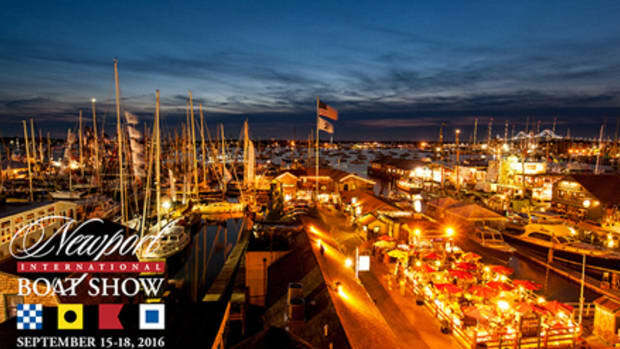 This story originally appeared in our affiliate publication, Trade Only Today and can be viewed here.